Enhance Your Smile With Dental Implants. Dental implants are the most innovative solution to missing teeth. Dental implants are the most innovative solution to missing teeth. Dental implants are replacement tooth roots which provide a strong foundation for permanent replacement teeth. 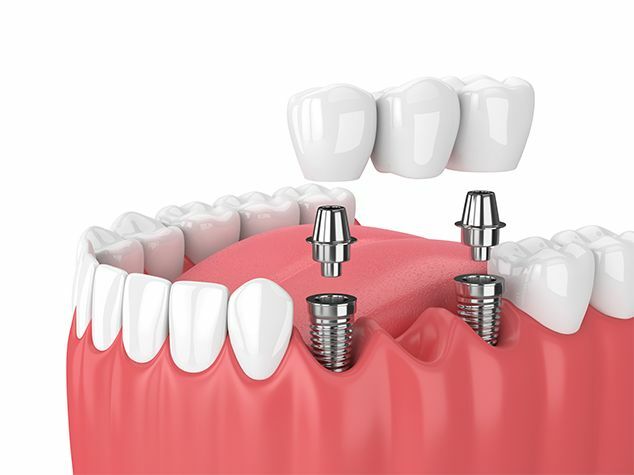 Dental implants look, feel and function like natural teeth and offer the longest term solution when compared to alternative tooth replacements such as partial bridges and dentures. Improve appearance by restoring a natural smile. Allow patients to speak without worry that their dentures might slip out of place. Dental implants allow patients to eat a full diet including items that are commonly restricted with dentures. Dental implants last for many years, even a lifetime. Eliminate the inconvenience of removing and storing dentures and can save the wearer money in adhesives. Dr. Couzens offers dental implant procedures in Danville, KY. To schedule an appointment, please fill out the form below or call our office at (859) 697-0400.